Dogs are permitted both within the castle itself and around the wider site. The medieval castle is a very impressive site, standing proud within the moorland – its turbulent history earned it the name of ‘the Guardhouse of the Bloodiest Valley in Britain’. It is very photogenic and well worth the visit. The adult admission charge to the site is currently £5. 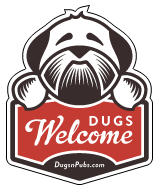 There are a total of 1 dog friendly listings in the Newcastleton category. Please log in, or sign up as a member to view all listings.